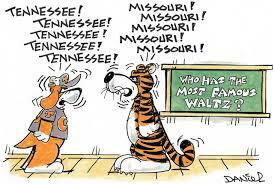 Missouri vs Tennessee may be known as the battle for the best Waltz. The Missouri Waltz was written in 1914 and the Tennessee Waltz was written in 1946. There have been many commercial recordings since the 1940s of “Missouri Waltz” (as an instrumental piece and song) by many different musicians in a variety of styles. Despite being the younger of the two, the Tennessee Waltz is by far the more famous. The Tennessee Waltz was the biggest selling song ever in Japan. 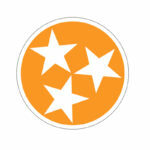 It is also the fourth official song of the state of Tennessee. This game is a newly formed rivalry in the Eastern Division. Missouri joined the SEC in 2012. The series is lead, in it’s short span, by the Tigers 3-1. Home field advantage seems to be a non-issue, considering the Tigers 2013 team has the only home field win in the series. The game was also the biggest margin of victory between the two teams, 31-3. However, that was under head coach Gary Pinkle. Now the Tigers are headed by Barry Odom. The Tigers are coming off a close win over Vaderbilt 26-17. Lead by the efforts of (QB) Drew Lock, (RB) Damarae Crockett, and (WR) J’Mon Moore the Tigers scored a combined 4 TDs. However, the Vols are coming off wins against Tennessee Tech and Kentucky. The Vols are finally getting healthy in the home stretch after an injury riddled season. The Vols must win out and get a little help from LSU against Florida to be the representative from the East in the SEC title game. (DL) Derek Barnett is making a statement this year, hoping to break Reggie White’s sack record at Tennessee (32). Barnett (30) needs just 2 more sacks to tie and 3 to break the long standing record. 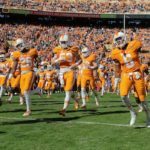 (QB) Josh Dobbs and Co. are wanting to keep the offense rolling coming off the TN Tech and Kentucky games. The Vols totaled over 1,000 offensive yards in their two previous games. This weekend is Senior Day at Neyland Stadium, and the Vols are looking to send their Seniors off with a great win to end their home field season.